According to Greenleaf, who introduced the term servant-leadership in 1970, the person who really wants to serve, simply wants to serve first - and this is very different from the person who is the leader first. Servant-leader is a servant first, i.e. : “primus inter pares”. Theory of servant leadership could be related to some point with McClelland’s theory of needs as the need for power and influence on the behavior of others is beneficial for all participants. In addition, we can connect servant leadership with authentic and transformational leadership theory to some extent. Servant leadership is rather a new field of research. It is identified by following characteristics, which form conceptual model: high-quality interpersonal relationship, trust, the need to serve, listening and understanding, focusing on values, acceptance and empathy, to foresee the one's needs with awareness and right perception, dedication to personal and community growth and finally by ability of conceptualizing the solutions (Ling et al, 2016; Dierendonck, 2011; Greenleaf, 1977). “Servant leadership is experimental. You really can’t learn how to serve others just with listening, you have to try it on as well”, Robin Swift, president of Servant Leadership Institute. 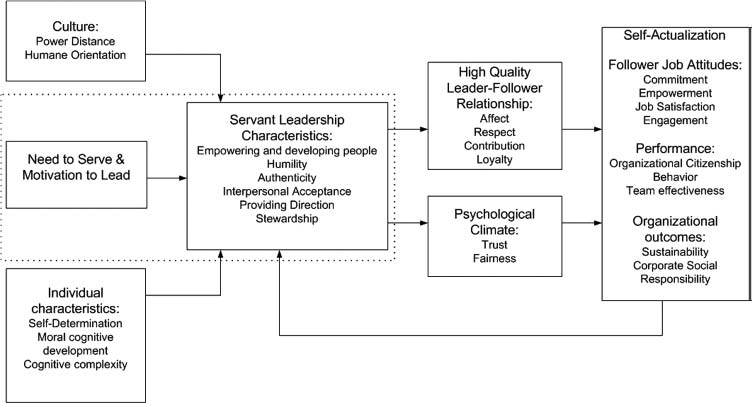 Figure 1: “A Conceptual Model of Servant Leadership” (Dierendonck, 2011, 1233). Studies of servant leadership especially in the tourism industry are rare. According to the massive contribution of the tourist industry to the gross domestic product - GDP, it is necessary to remodel leadership behavior of managers. However, it is proven that servant leadership brings better team task performance and service excellence in hotel industry, which challenge innovative perspective to human resources, competencies and leadership style in the tourism industry. The positive psychological capital of employees is a key influential factor in their behavior. Servant leadership facilitates customer value co-creation through positive psychological capital and service-oriented organizational citizenship behavior of employees. When employees possess in the high positive psychological capital, they deliver high-quality services and improve customer communication. This means that positive psychological capital of employees is a leading influential factor, which enlarges customers' satisfaction and stimulates them to behave in a favorable way towards tourism organizations. Servant leadership could be a prevalent innovative concept in the tourism service industry, providing an important leadership theory in which intangible resources, co-creation of value and relationships are the key to determining and satisfying guests needs. Servant leadership is the crucial factor to establish new tourism service customer development. Figure 2: “Structural equation model of servant leadership group-level mediation model on team performance, with standardized coefficients. The effect of the control variables team size and task interdependence are not represented here. N = 67 teams, **= p < 0.01, *= p < 0.05” (Chiniaraa, and Bentein, 2018, 9). Note: Service OCB means service-oriented organizational citizenship behaviors; Perceived LMX differentiation means perceived differentiation in leader-member relationship quality. Traditional management principles do not provide long-term progress in the hospitality industry. Staff members, especially front-office staff, should not be treated as instruments serving others. However, the classic pyramid hierarchy does not allow the effective transmission of information. That is why hotel management requires a different approach and can adopt servant leadership style. It is not enough to accept the servant leadership principles, it is necessary to incorporate service-oriented climate into the organization by a servant leadership measurement model for the top and middle-level managers in order to define the influence of servant leadership style on employees and quality of service. The best way to execute servant leadership into the hospitality and tourism industry is through taking the lead, following the principle: guiding by personal example, especially because of the trickle-down effect from general manager behavior to front-line employees. According to study of managers behavior in the four and five star hotels, there is a strong correlation between servant leadership and service excellence when leadership behavior include “positive mindset, walking the talk, 24/7 high energy, moving together with others, being unconcerned with rank and positions, joy and happiness by providing service to others”. Example case study in hospitality service was carried out in Ritz Carlton hotel, Berlin. The Ritz-Carlton motto exemplifies the anticipatory service provided by all staff members. It says: "We are Ladies and Gentlemen serving Ladies and Gentlemen". According to their practice, principles aligned with servant leadership style are giving the following message: “By applying the principles of trust, honesty, respect, integrity, and commitment, we nurture and maximize talent to the benefit of each individual and the company”. 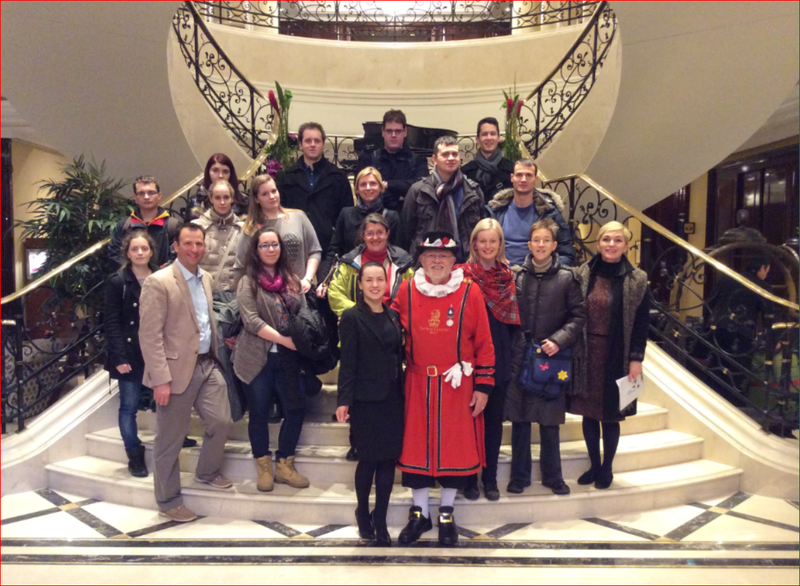 Picture 1: Vocational College Bled visiting the Ritz-Carlton in Berlin and learning about servant leadership values, 2015. Source: author. Another example of servant leadership practice is Marriot International, one of the most innovative companies in the world, according to Forbes, where pharmaceutical companies, technologically advanced companies, and Internet sales predominate. Marriot International is aware of the importance and potential of servant leadership. Together with Starwood Preferred Guest - SPG® and The Ritz-Carlton Rewards, they work in sync to build the best loyalty program, based on the principles of the servant leadership. Greatness. Published by Paulist Press. ISBN 0-8091-2527-7. Author: do not mix the term to serve with servility. Dierendonck, van Dirk. (2011). Servant Leadership: A Review and Synthesis. Journal of Management. Vol. 37 No. 4. DOI: 10.1177/0149206310380462. Art Barter is Founder and CEO of Servant Leadership Institute. Chiniaraa, Myriam and Bentein, Kathleen. (article in press). The servant leadership advantage: When perceiving low differentiation in leader-member relationship quality influences team cohesion, team task performance and service OCB. The Leadership Quarterly. Hsiao, Chan; Lee, Yi-Hsuan and Chen, Jun-Wan. (2015). The effect of servant leadership on customer value co-creation: A cross-level analysis of key mediating roles. Tourism Management, 49, pp. 45-57. Ling, Qian; Lin, Meizhen and Wu, Xiaoyi. (2016). The trickle-down effect of servant leadership on frontline employee service behaviors and performance: A multilevel study of Chinese hotels. Tourism Management 52, pp. 341-368.
study in the hotel organizations. Journal of Hospitality and Tourism Management, pp. 1-11. Marriot International was No.23 on Forbes Top 25 Most Innovative Companies in 2016. Source: https://www.forbes.com/pictures/57b48e16a7ea4331ac3530e4/no-23-marriott-internatio/#4a88710c6ded. Marriot International is hosting a 18th Servant Leadership Conference in San Diego, from 19th to 20th February 2018.